Lucite International Group Ltd. (known as Lucite) is a world leader in the design, development and manufacture of acrylic-based products. As part of the Mitsubishi Chemical Corporation, the company has many manufacturing plants around the world, producing polymers, monomers, composites and resins for various applications including dental, medical, coatings, adhesives and glass. At its production plant in Newton Aycliffe, UK, Lucite manufactures a number of premium speciality polymers and resins, specifically designed and developed alongside its customers. Lucite had previously experienced difficulties when filtering an adhesive resin, used in the production of surgical plasters. 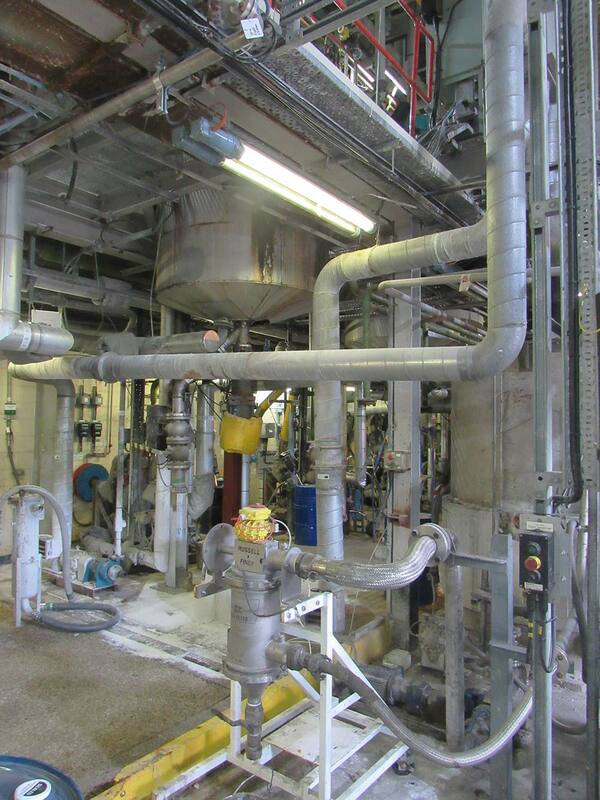 A key stage of the resin process line is filtration – ensuring oversize contamination such as foreign particles and agglomerates are removed. This guarantees the quality and consistency of the product – a key requirement for a medical application - as well as protecting the downstream process of membrane filtration. However, filtration of these high-viscosity, sticky adhesives can be difficult, and Lucite had encountered problems when using traditional static basket strainers to carry out the filtration process. Having previously relied upon the Self-Cleaning Russell Eco Filter® for other applications, Lucite consulted Russell Finex once again for a solution to filtering the adhesive resin. The solution was an EF803 Self-Cleaning Russell Eco Filter®. These inline filters provide an efficient solution to ensuring the quality of high-viscosity liquids such as adhesive resins and have the capacity to meet Lucite’s required throughput of 400 litres per hour. The company also utilizes additional Russell Finex separation equipment on a separate production line at it's Newton Aycliffe site, including vibratory separators to ensure the quality and consistency of polymer beads.